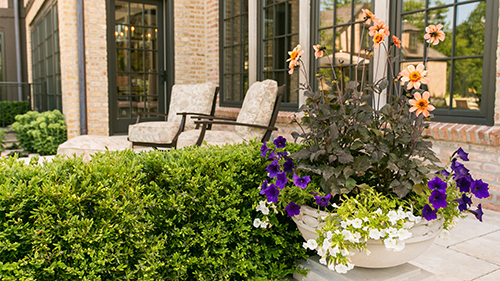 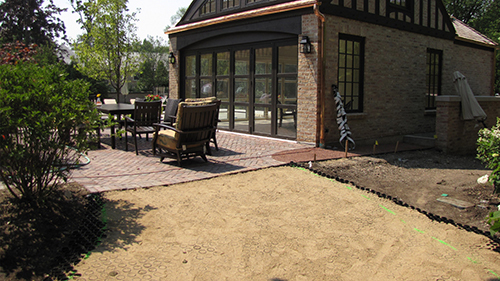 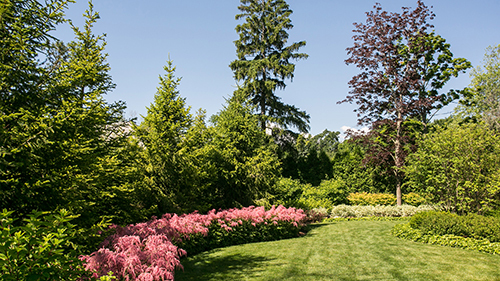 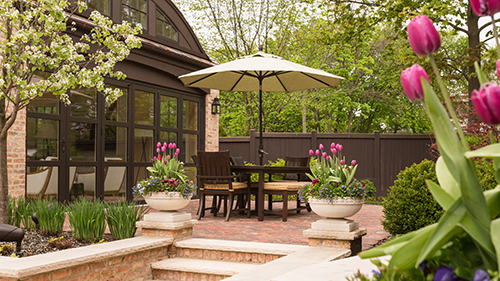 COMPANY: Greenhaven Landscapes, Lake Bluff, Ill. 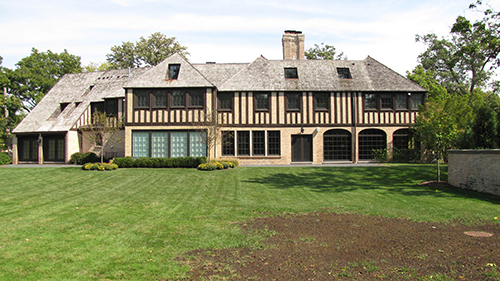 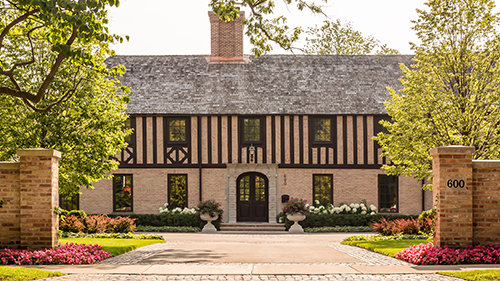 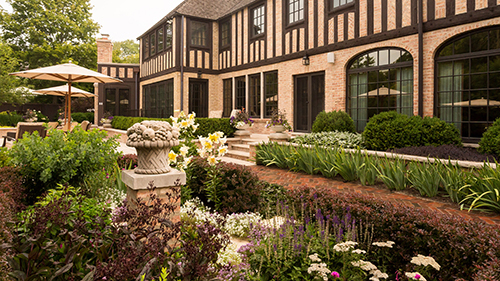 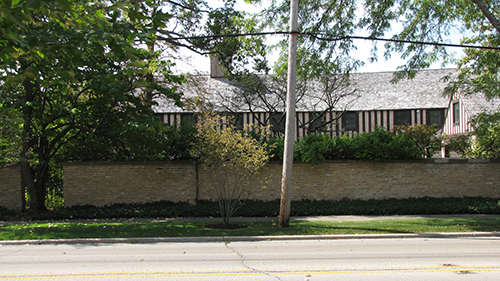 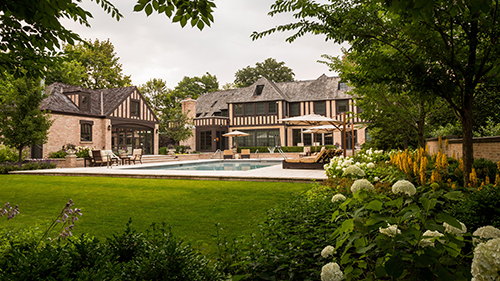 THE DETAILS: The owner of this 1923 Seyfarth Tudor home had a lengthy list of to-dos at the get-go of his renovation. 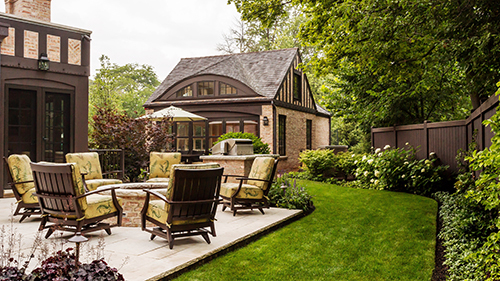 In the back he requested a swimming pool, pool deck, built-in grill, fire pit, screening of neighbors, focal points and vignettes from inside, cut flower garden, colorful perennial plantings and an open lawn. 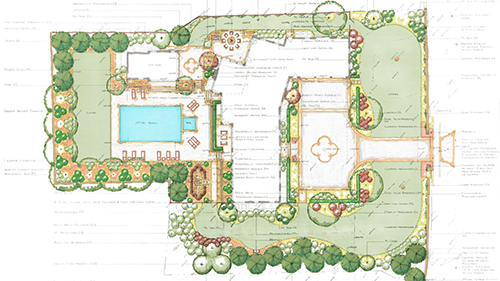 The village complicated the design some by requiring a less-than-ideal pool placement, limited options for a fire pit and grill (to keep them at least 10 ft. from the house) and the requirement of a functional drive to the garage/pool house. 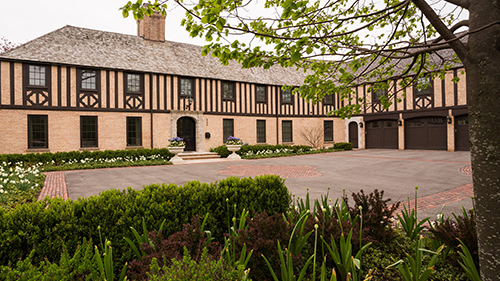 In the front, the owner requested a central drive with parking for three to five cars. 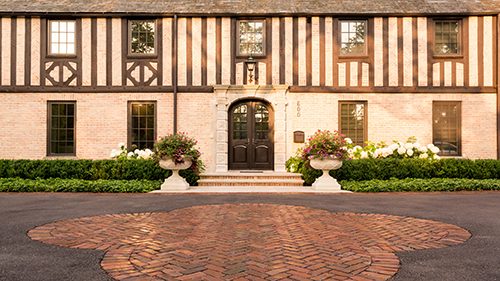 The driveway design was achieved by relocating a utility pole in the parkway, opening a 5.5-ft. wall along the front of the property and reorienting the driveway on center of the front door. 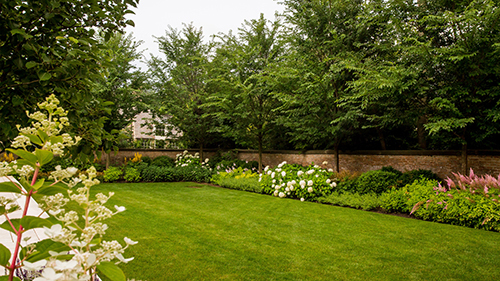 Check out the slideshow above to view this project, which earned a National Landscape Awards of Excellence Grand Award from the Professional Landcare Network.